White sugar as we know it does not appear naturally in nature​. We are biologically attracted to sweets so that we’d not forget to eat, but the intended sweets are natural sweets from fruits. 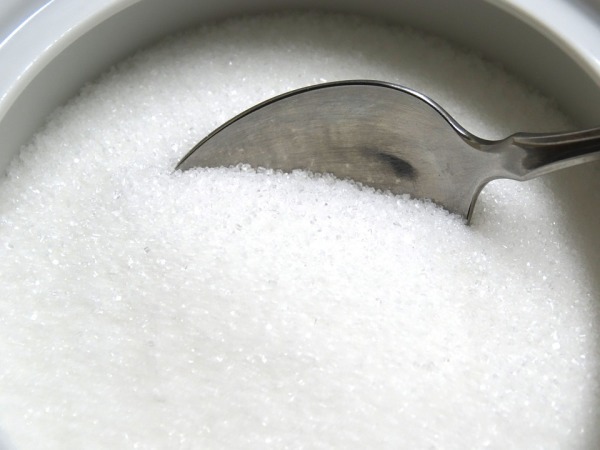 Sugar is made from fruits and other plants such as sugar cane and beets, but to make sugar, all the elements of nutrition are removed and used for other purposes, leaving only the sweet taste. Processing food, separating the components, injures all parts of the whole. We become addicted to the sweet taste, but get no nutrition from it. The Bible tells us ‘a little honey’. Proverbs 25:27 - [It is] not good to eat much honey. Today, when we eat sweets we eat the wrong types, too much, receiving no benefit. Our food is to be from nature, and the more removed, by processing, bleaching, adding synthetic components to retard bacteria – to prevent loss and waste, to preserve freshness, taste, whiteness or color, we are left with a product that the human anatomy is totally unfamiliar with. Don’t even get me started on GMO. So that sets up a new problem, how can the body handle this foreign entity, while saving the host, the body. It sets in place the inflammation process (just one of the many ways the body seeks to protect its self). This low grade Inflammation causes pain, fatigue, reduces blood flow to vital organs, and sets the stage for arthritis, asthma, sinus problems, diabetes, heart disease and more. All because vital resources to being re-allocated. The body is truly a magnificent power plant, but when one area gets off course or shuts down, many things fail. Being who we are, we often don’t recognize the first signs of trouble, so we keep up behaviors that keeps the body from its true synergy, Until we have an event, anything from a headache to a lump, or just a bad feeling that won’t stop, and then we begin to seek answers . Sugar feeds bacteria, robs nutrients from bones, causes gallstones, poor skin and eyesight, robs skin turgor, and so much more. And that’s just sugar, think of ALL the artificial, synthetic processed foods we eat, daily, and think nothing of it. Good nutrition is the first line of defense against disease, ill health and early death. The cure for the sweet tooth is fresh whole fruit and lots of veggies.